Rooting the Amazon Kindle Fire HDX tablet on the new FireOS 4.5.5.1 firmware isn’t that hard to do. Once you are done, you can start installing all the same applications you were enjoying before. One root application you might not have had the pleasure of installing already is the Tasker app. With Tasker, you can change-up your operating system and tweak it a million different ways. It’s not the same as installing a custom ROM or the Xposed Framework, but it’s the next best thing to tweak your OS if you do not want to install either of those two things. Download the KingRoot one click rooting application for the Kindle Fire HDX from here. You are voiding the warranty on your Kindle Fire when you root it using the application below. You can unroot by clicking the ‘Uninstall’ option from the menu, or by removing the KingUser depending on your version of the app. 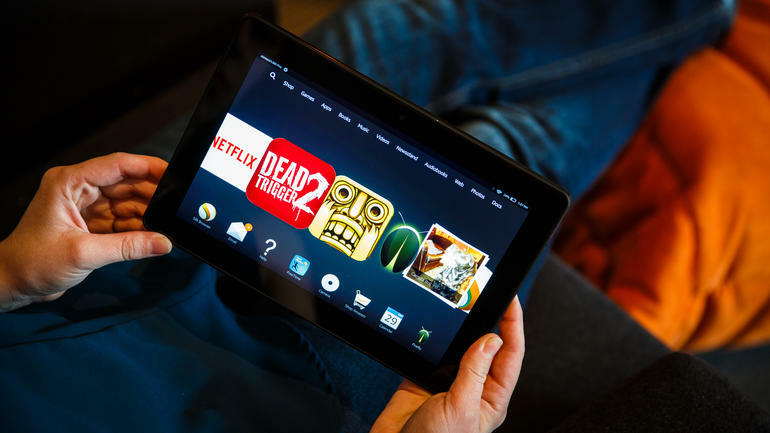 Once you do unroot the Kindle Fire device, the warranty will start working again. Download the KingRoot application directly from the Google Chrome web browser application on your Amazon Kindle Fire HDX device. Anyone without Chrome can use a different browser. Install the application and tap on the KingRoot icon from your app drawer once you are finished. Tap on the large ‘Root’ button that is on the main page of the app. The exact wording of the KingRoot application changes between versions. You’ll have to assume the button I’m talking about. Wait until the progress bar reaches 100% and then you should get the success message coming on the display from the KingRoot team. Close the KingRoot application and reboot the device before you install any apps. Open the Google Play Store and install the basic root checker application — it’s free and will confirm that your device is rooted. In conclusion, that’s how to root the Amazon Kindle Fire HDX running the latest FireOS 4.5.5.1 update. Anyone can now start installing root apps from the Google Play Store like the Tasker application or the Xposed Framwork we mentioned earlier. However, the KingRoot tool does not require an unlocked bootloader, nor does it unlock the bootloader during the rooting procedure for you. That means you cannot install a custom recovery just yet, unless the bootloader is unlocked. Once you have unlocked the bootloader on your Amazon device, you can start installing custom recoveries like the TWRP Recovery — the most popular aftermarket recovery in the world.